Another great example of the wild side of Amsterdam.....A museum about drugs. Here you can see the plants from seed to full grown and learn everything about the use of drugs and the history of Cannabis. The Hash, Marihuana & Hemp museum doesn't promote the use of drugs, but it will make you better informed about the risks of using drugs and you can learn more about different uses of the Hemp plant. An interesting exhibit in this museum is about the medical use of Cannabis. It explains the medical use in the past as well as today. And then there is a whole exhibit about the different uses for the Hemp plant. This plant is seen as a great alternative to cotton. You can make textiles from it, as well use it as fuel, medicine, use it in soap and paints. This is an unique museum about drugs, well worth a visit when you are interested in the recreational use of Hash or Marihuana, but also when you want to know more about the history and use of the different drugs in society. 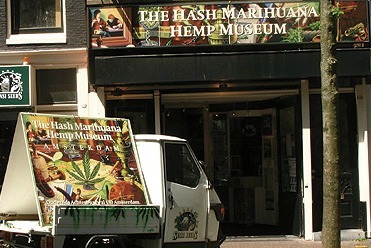 The Hash, Marihuana & Hemp museum is located in the Red Light District and it is a 10 minutes walk from the central station. And it is also very close to the Dam Square. 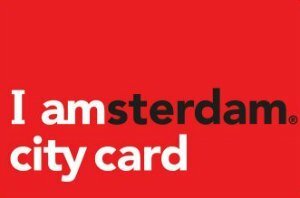 To get there by tram: take tram 4, 9, 16, 24, or 25 to Dam Square (one stop). Turn left past the Grand Hotel Krasnapolsky and along the Damstraat. At the second canal, turn left immediately (do not cross the bridge). The Hash Marihuana & Hemp Museum is about 15 metres further down the canal. The Hash Marihuana & Hemp Museum is open every day from 10:00 a.m. to 11:00 p.m. It is also accessible in a wheelchair, since everything is on the ground floor and you are allowed to take photos, but don't use your flash! The admission price is 9 Euro for adults. Children under 13 year are free, but they have to be accompanied by an adult.